GIF sharing images are gaining more and more popularity these days because of their lesser loading time and small file size. The best part is that they can be constructed with ease using few editing tools online. Most of the ?online GIF editors are available for free and they allow users to develop customized interactive images with advanced feature set, which simplify the creation process of GIF images and videos. However, there are still some GIF makers online that are not easy to use. We need an easy to use and free GIF editor online to use for quickly making a GIF and share it with friends to have fun. The following list are great makers to edit GIF from video or image. Check it out! Wondershare Filmora9 is often recommended due to its rich feature set that allows easy customization, editing and conversion. If you are looking forward to working on GIF images and videos then probably Filmora9 can solve all your troubles. You can add text/title to edit your GIF. Besides, various stickers and overlays are also available to use. Below are few incredible features of Wondershare Filmora9. This GIF editor can process all popular media file formats with ease and it works perfectly on Windows as well as Mac device. Export images and videos to GIF format directly, or save the gif to mobile device for sharing. Share the GIF Video to YouTube or Vimeo directly. It does not demand any active internet connection. Users simply need to download their tool and start working offline. It is possible to edit already created GIF images in Filmora9 and you can access inbuilt tools for this purpose. 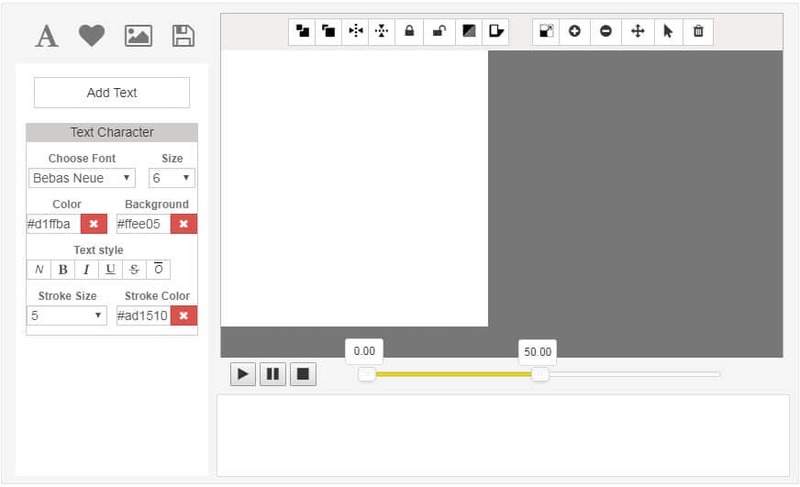 The list of commonly used editing tools includes overlays, elements and text etc. Users need not to waste time for uploading or downloading image because its drag and drop tools makes everything much easier and laborious task can be completed within fraction of seconds. 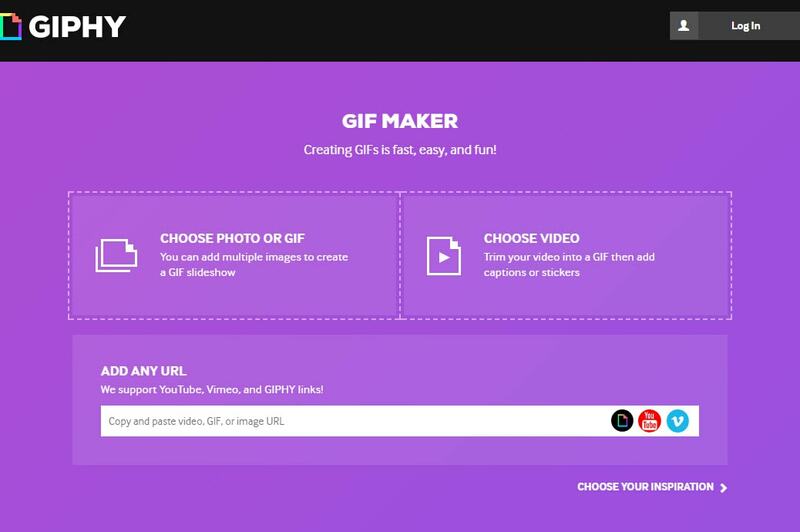 The article below includes the list of best online GIF maker tools that you can use to make GIF from images or videos with ease online. Filmora meme maker is your ultimate solution. It helps you make image, GIF and video memes directly without watermark. It is totally FREE to use and no sign up. You can change text size, color and position to create caption when you are using this online GIF editor. You can also put text inside or outside in GIF. Just with a few clicks, your GIF is done. Try it now! How to make a GIF online? Some people are wondering how do I make a GIF online? Well, don't worry. We will let you know the steps to make a GIF online with Filmora meme maker. You just need to open it and then follow the steps below. Check it out! You can make a GIF from video or image, and Filmora meme maker supports all. You can drag resource to the center of the page, or directly click it to upload. If you want to make GIF from video. Just import the video to this tool. The file size must be under 50MB size. After it is uploaded, you need to trim one part you like. Drag the slider to left or right to get it. If your uploaded file is image, you can flip and rotate it first. You can enter your text from inside and outside. Besides, you can change font type, size and color. Just position your text field to anywhere. After selecting the format you want, click create to export this GIF. You can preview it online. Click download if you like it. It may take a while according to your file size. This photo to GIF online maker can easily process almost all media file formats like JPG, GIF and PNG so that interactive GIFs can be created. Users can also enjoy live preview of all changes before exporting created GIF image to device, so it is a great GIF editor online to use. This popular GIF search engine and interactive design tool can develop results of your choice instantly. Giphy allows you to make GIF slideshow with images as well as videos. You can add multiple images or paste the YouTube, Vimeo or Giphy URL to upload the video. You can adjust the duration of each frame/image, and add captions, stickers, filters to the GIF file or draw on it. And you can choose different styles and animations when adding captions when editing GIF. 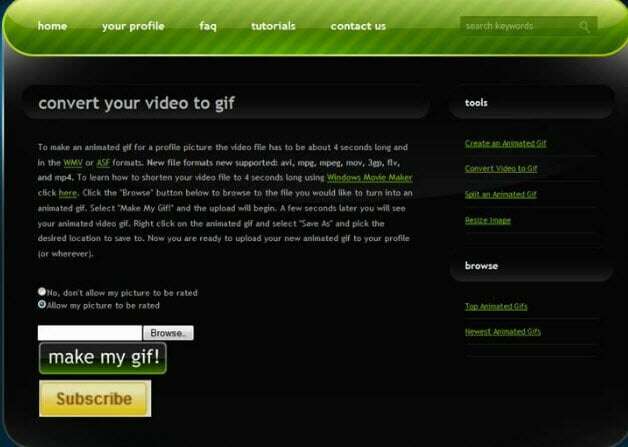 You can use it to make GIF online. 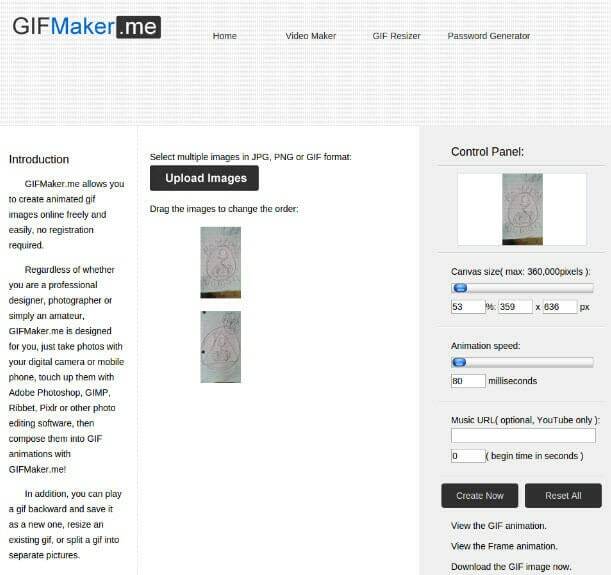 Those who are searching for a super quick way to develops GIFs with additional watermarks and image quality settings can prefer to move t GIFMakerOnline.com. 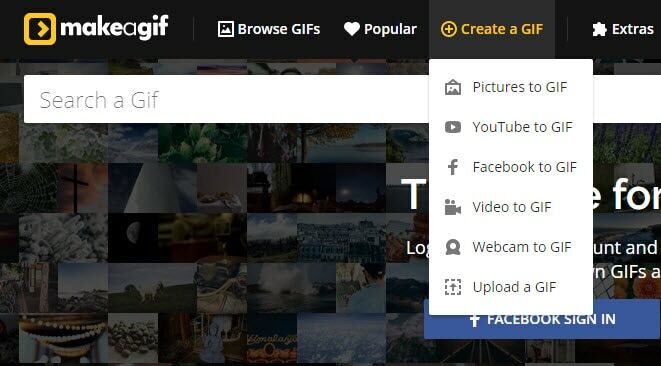 It can directly upload your resulting GIF files on popular social media sites. If you have already collected images in png, jpeg and gif format and now want to create one interesting animated GIF image by merging them then GIFMake.com can help you better. 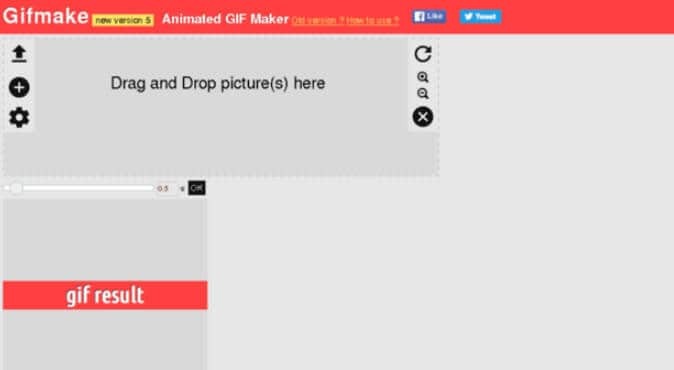 You can this online gif editor to make a GIF with dragging and dropping. 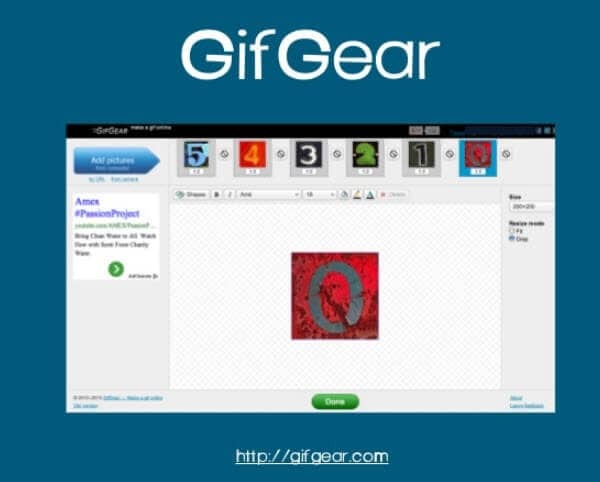 This online animated GIF maker allows users to create GIFs from images, photos and videos. 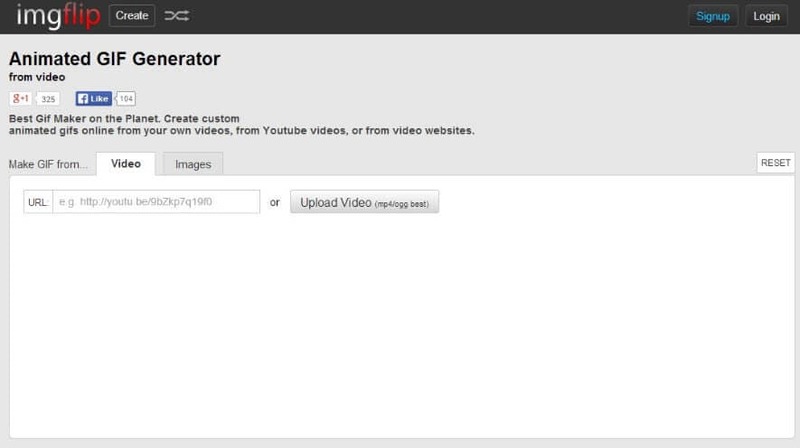 You can add a MP4/OGG video from computer or paste a video URL to upload the video footage. You can upload several images to make a GIF and adjust the width, height and quality. It will help you to watch preview of your GIF before it is created and that is definitely important for generating good results. Users can alter quality of GIF with animations, photo order adjustments and resizing features. Besides that, you can also add text to GIF or crop and rotate GIFs. This GIF editor can help users to develop a high quality GIF from collection of images or from a video file. It can also process webcam recordings or YouTube videos for creation of GIFs. 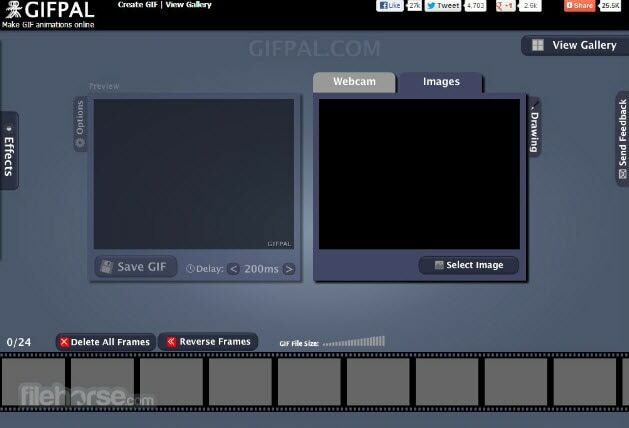 This animated GIF maker is a portable solution for all GIF creators with only 2MB file size. It is designed with intuitive and easier to use interface that can develop classic GIFs for you with better adjustments over quality, frame delays and size, though it still provides the Size and Speed preset. 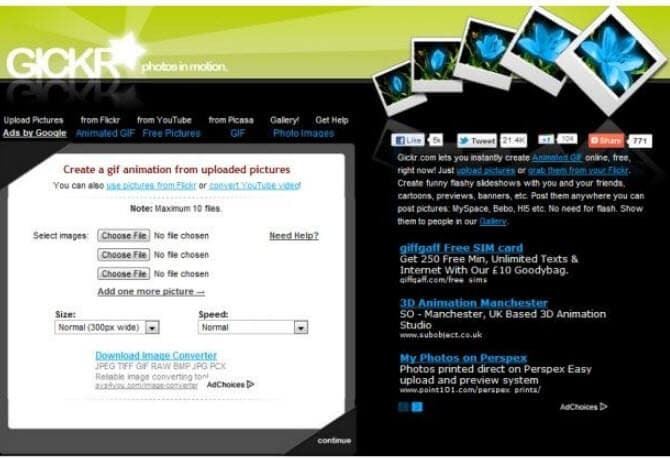 However, this GIF Maker only allows you to upload images to make GIF. 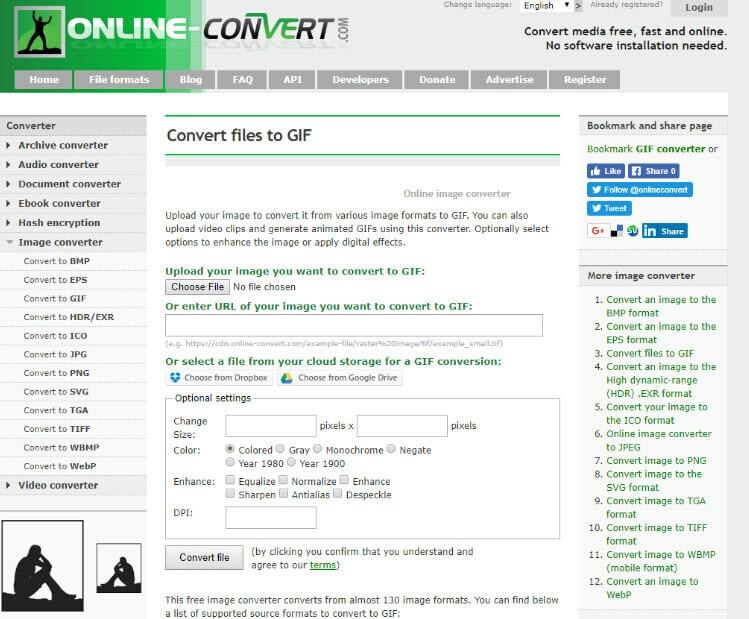 Convertio is an online GIF maker which is able to easily process all file formats so that users can easily upload any image or video for development of application specific GIFs. This online GIF editor allows you to upload image or videos in several ways: uploading from your computer, from Dropbox, from Google Drive, or pasting the file URL or website URL. The maximum file size is 100MB. Besides converting image or videos to GIF, you can also convert GIF files to MP4 videos. This GIF maker tool is be used to convert png, jpg and many other images formats into animated GIFs with ease. However, you can upload one image at a time and the maximum file size is 24MB. Here is a free and easy to use online GIF animator tool that helps users to select multiple images from computer. 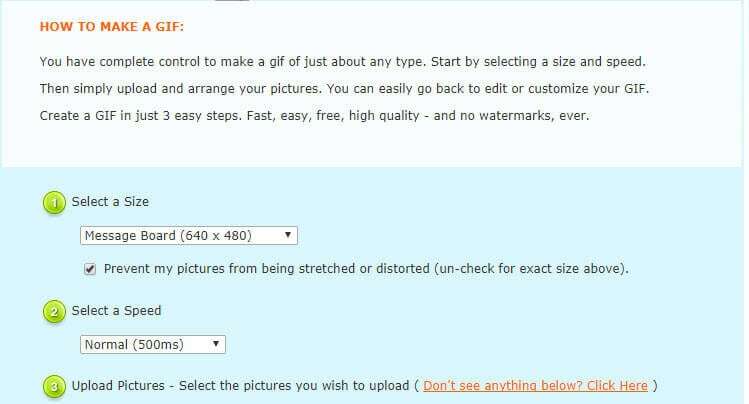 After manipulating details about speed and size of GIFs, it can help you to generate quality GIF images. 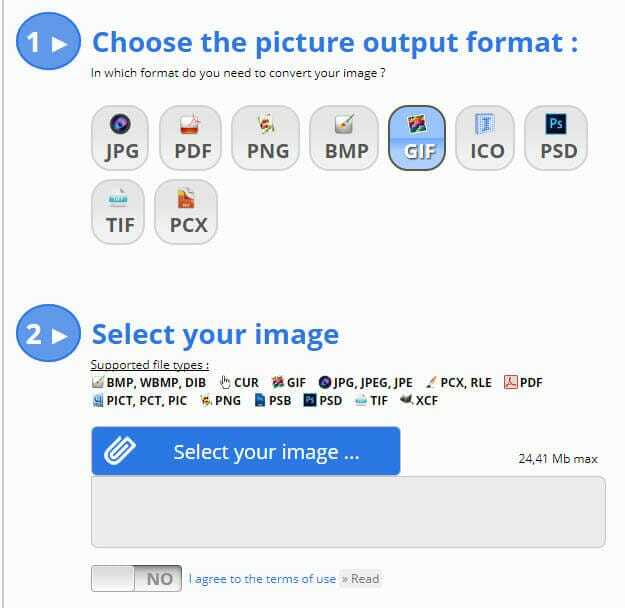 This online GIF Maker allows you to re-order the multiple images and compose several images into one GIF file. However, the biggest pixel is 450px wide. There is no indication about the maximum file size that you can upload, but when I upload a 700KB, it reports error. There are so many unique features and colour manipulation options on EditPhotoForFree.com. 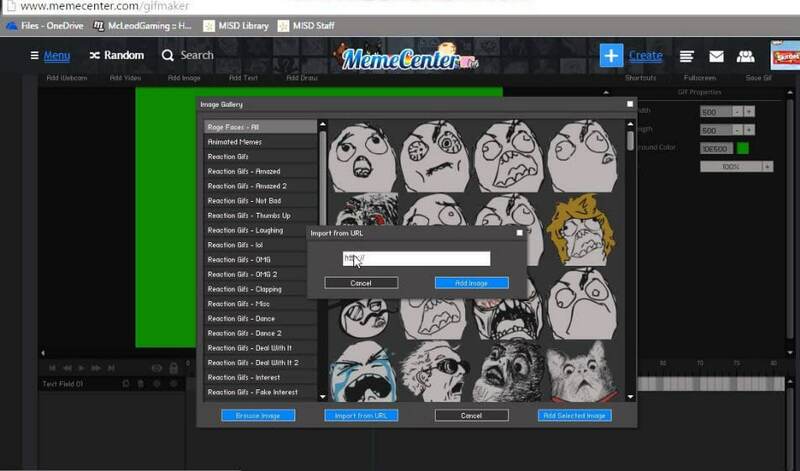 Users can easily access to many customizable features on this platform for development of application specific GIFs. This online GIF creator allows you to add images in JPG and PNG formats, animated gif and video in Mp4, WebM and OGG formats to make a GIF. It also allows you to record webcam to make a GIF and add shapes in SVG format. You can add GIF effects like text and background. There are some editing features built in, such as flip horizontal and flip vertical, and shadow and opacity settings. But the preview window is not reacted timely. This creative GIF maker can show you effect of all changes that you made to your imported files before saving the final results. One can customize GIF content with hue, saturation, contrast, text and drawing tools. You also can edit GIF by adding text. It can easily split or create animated GIF files as per user's specifications. 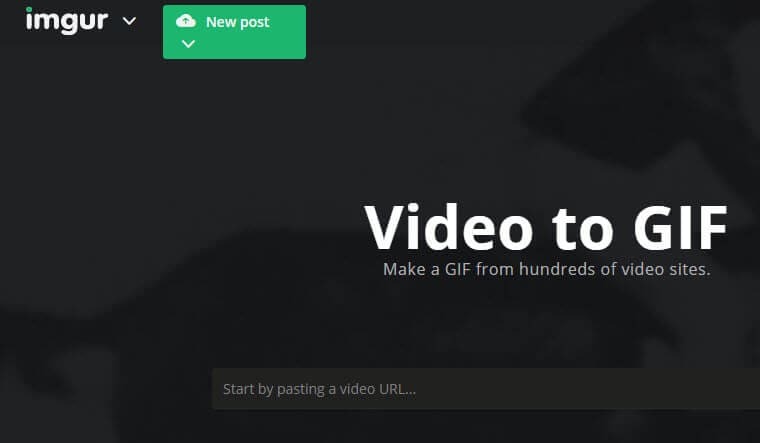 This online GIF editor can help you make GIF in a minute. GIFGear.com allows users to develop interactive GIF images with particular size and customization options. One can also decide duration of animation and several effects can be added in form of frames, overlays, pixelations and fade etc. 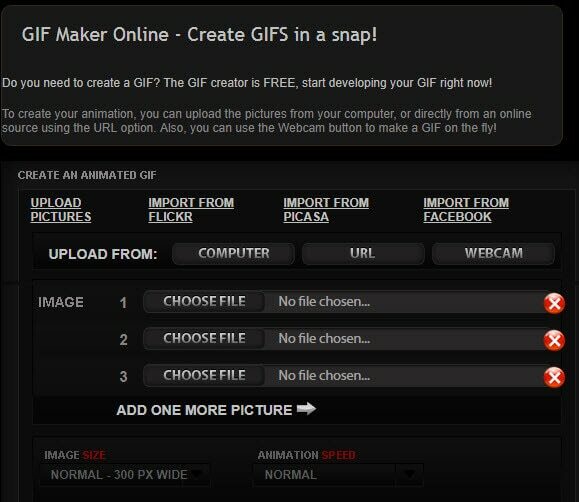 Gickr.com allows users to develop animated GIFs within few seconds and this platform can be accessed by anyone for free. Users simply need to uploaded images, add desired effects and convert project to GIF extension. Here is your advanced yet personal GIF creator that can provide impressive results instantly. It allows users to upload 1024 Kb file size with ease and uploaded images can be easily processed for generation of classic GIFs. Its interface is easy to understand. If you like to make GIF like a pro, you can this one to make a GIF. Have a try! Here is one of the most widely used GIF image sharing center that can easily process raw content from computer or in form of provided URLs. This platform is being popularly used for development of meme with so many quick features. It is really impressive to add reactions to GIFs or select already existing videos/images to get desired results. You can still edit GIF thought it is a meme center. This tool works on your browser and can share resulting GIF files on other popular websites with ease. The process is smooth to edit GIF online. It assists users to develop classic GIFs with images that can be uploaded from computer or using video URLs. One can also import images from webcam or try stills from Flickr or Picasa. With this GIF maker tool you can easily arrange your uploaded images in any order and then apply GIF based animation effect to that sequence. One can also add borders, frames and filters to this content. This name is popular among professional image editors due to its wide set of features and impressive capabilities. 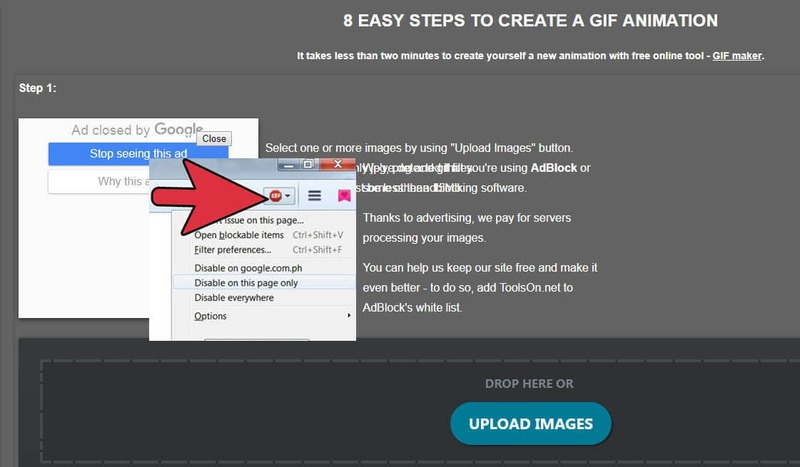 These free online GIF makers discussed above allows you to turning images or videos to looping and animated GIFs quickly. If you want to try more offline GIF creators, you can check our picks of best free GIF creators in 2019, which includes both offline and online gif creators. Which one(s) will you use to make a GIF online? Share with us in the comment section below.